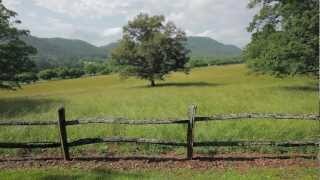 Breathtaking views across Cane Creek valley to the mountains beyond in gated Ashbrook. The limestone exterior echoes European elegance with a soaring library housed in the tower. Downsview Cabinetry throughout speaks to the level of finishes in this home with a floorplan that maximizes the views from every room. Brazilian Cherry floors throughout, 48" Viking Range, SubZero. 2800 additional square feet ready to finish in the walkout lower level. Directions: Mills Gap Rd or Hwy 74 to Cane Creek Rd. Turn onto Anderson Oaks Drive next to Taylor Ranch. Right into Ashbrook subdivision on Ashbrook Meadows, Follow to the end and turn left onto Two Brooks Trail. House is the second on the right.